The study aims to evaluate the therapeutic effects of dermatologic tacrolimus ointment on eyelids to treat refractory vernal keratoconjunctivitis (VKC). This institutional study examined the effects of steroid treatment for 10 patients diagnosed with severe VKC refractory to steroid treatment. Patients received 0.1% dermatologic topical tacrolimus treatment on their eyelids once or twice daily for concomitant atopic dermatitis. 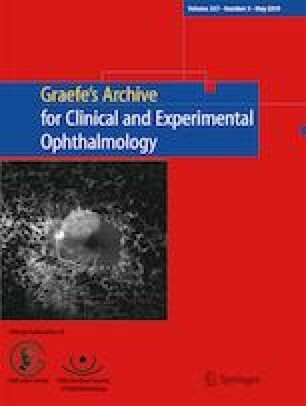 The therapeutic outcomes were evaluated according to change in severity of clinical findings recorded with serial external ocular photography and change in requirement for steroid treatment. Clinical signs and symptoms improved substantially after tacrolimus treatment. Significant reduction in size of papillae, decrease of discharge, improvement in hyperemia, and shield ulcer healing with re-epithelization were observed in all patients. Six out of 10 (60%) patients did not receive steroid treatment. Long-term maintenance of tacrolimus was required to prevent episodic exacerbation. Patients’ only treatment-related complaints were of mild burning sensations during medication application to eyelids, and this sensation disappeared a few days after treatment. Application of 0.1% dermatologic tacrolimus ointment to eyelids is effective and safe in the treatment of refractory VKC in patients with concomitant atopic dermatitis. This treatment may serve as a substitute for or decrease the requirement of steroid treatment. All procedures performed in studies involving human participants were in accordance with the ethical standards of the institutional and/or national research committee and with the 1964 Declaration of Helsinki and its later amendments or comparable ethical standards. This article does not present any studies with animals performed by any of the authors.